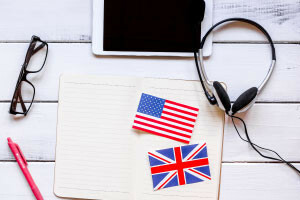 This module will introduce you to the basics of English grammar, in particular it looks at the rules of the English language and the factors which influence clear communication and the shape of communication in English. It also looks at the evolution of words in the English language. You will examine the use of punctuation in English, including full stops, commas, semicolons, colons, apostrophes, and speech marks. You will also be introduced to the different parts of speech, such as nouns, adjectives, adverbs, and prepositions. This module will introduce you to the past, present, and passive tenses in the English language. You will look at the structure and the components of each tense. Specifically, the tenses you will learn about are the past perfect, past simple, present perfect simple, past perfect continuous, present continuous, present perfect continuous, and passive tenses. You will also learn how to form questions in the present simple tense. This module will help you to recognize the differences between tenses, and how to create different tenses. This module will also walk you through sentence structure in English. In particular, you will look t the position of adverbs, creating negatives, and creating questions.